Tickets are $55.00, $40.00 and $30.00 and go on sale Friday, April 19th at 10:00am through Ticketmaster. Ticketmaster customers may log on to Ticketmaster.com. Tickets will also be available at the Mohegan Sun Box Office beginning on Saturday, April 20th at 10:00am, subject to availability. Daughtry’s self-titled debut was the best-selling album of 2007, which contained four Top Twenty hit singles including the Grammy-nominated smash “It’s Not Over.” Leave This Town also reached #1 in 2009, while 2011’s Break the Spell was certified gold. His group’s most recent record, 2013’s Baptized, featured the platinum-selling “Waiting for Superman,” which the singer points to as a turning point in his songwriting. 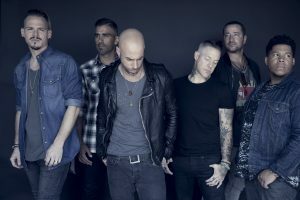 Daughtry and his band have been performing together for over a decade and released their fifth album in 2018. They look to contemporaries like Maroon 5 and Train as examples of acts able to maintain their relevance while Rock & Roll faces an uphill struggle in the mass media. “Those guys are inspirational, showing that you can come back and have a strong presence, even if what you’re known for doing is having a hard time,” he says. Mohegan Sun Arena is now ranked consistently among the top venues in the world according to Billboard Magazine, Pollstar and Venues Now. Mohegan Sun Arena is consistently ranked among the top three “Arenas in the World for its Size” and top 15 in the “World for All Size Venues.” The award – winning venue is the “#1 Casino Venue in the World,” “#1 Social Media Venue in the World” and a seven – time national award – winner for “Arena of the Year.” For more information on concerts and other great events, visit Mohegan Sun. For information on this week’s schedule, call the Entertainment and Special Events hotline at 1.888.226.7711. Next Next post: Lady Antebellum To Headline Mohegan Sun Arena On Friday, August 2nd!